Ashford Stud’s Grade 1 winning juvenile Competitive Edge sired his first foal this morning. The chestnut colt is out of Spiritual Union and is owned by Erv Woolsey and Ralph Kinder. 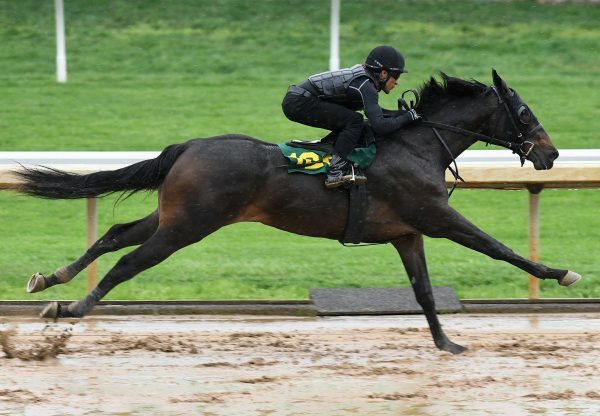 “He’s a big, nice, correct colt – picture perfect. He was up quickly and nursing the mare in 15 minutes, I can’t knock him” said Ralph Kinder. Competitive Edge won on debut at Saratoga by 10¼ lengths before landing the G1 Hopeful Stakes by 5¾ lengths. Then at 3 he took the Tamarac Stakes at Gulfstream Park and the G3 Pat Day Mile at Churchill Downs in stakes record time, bettering Ack Ack's record set in 1969.